Mix the sugar, water and nuts in a pan, bring to the boil, stirring constantly, reduce the heat, simmer for approx. 5 mins., occasionally shaking the pan, until the nuts are hazelnut brown. Spread out the nuts on a sheet of baking paper, allow to cool and break into pieces. Mix the grapes and icing sugar, cover and leave to stand for approx. 30 mins. Combine the yoghurt and icing sugar, fold in the whipped cream. 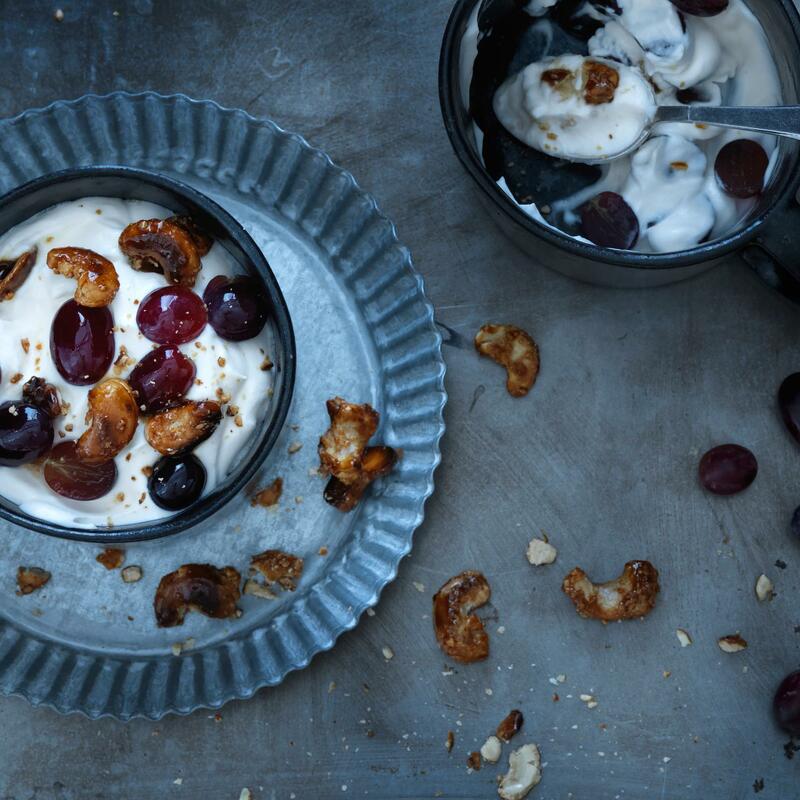 Divide 3/4 of the grapes into small bowls, top with the cream and decorate with the remaining grapes and cashew nuts.